Masimo pioneered motion and low perfusion tolerant technology. 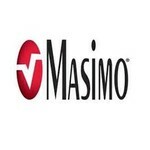 Masimo SET is the technology proven clinically in over 100 studies since 1994. Masimo Signal Extraction Technology (SET) is a breakthrough technology that represents a new and fundamentally distinct method of acquiring, processing and reporting arterial oxygen saturation and pulse rate. Masimo SET greatly enhances the accuracy of SpO2 monitoring, particularly in the most difficult patient conditions such as motion and low peripheral perfusion. Masimo SET technology enables the power of adaptive filters to be applied to real-time physiologic monitoring by utilizing proprietary techniques to accurately establish a “noise reference” in the detected physiologic signal, thus enabling direct calculation of arterial saturation and pulse rate. While other pulse oximetry technologies employ one, or sometimes two algorithms to attempt to measure a patient’s arterial oxygen saturation, Masimo SET’s unique patented approach employs five algorithms, working in parallel, to ensure continuous, accurate SpO2 measurement, even under the most challenging conditions.